Circuitry in a house or building can prove to be tricky specially when attempting to repair it without any panel schedule. 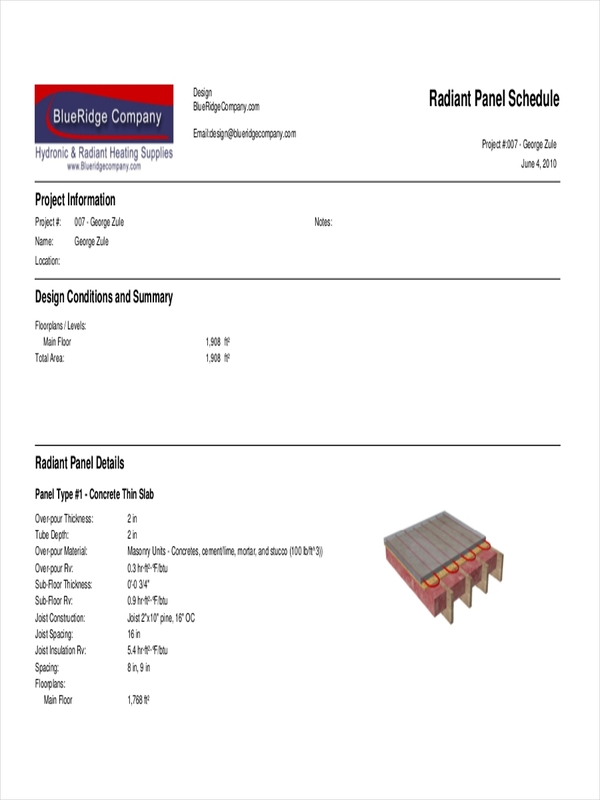 Some panel schedules however, have been either drawn hastily or just plainly drawn wrong which may complicate even the simplest of electrical jobs and further delay any hopes of addressing that power failure quickly. Panel schedule example seen on the page can show you how a panel schedule looks like. Attempting to make one would be unlikely if you are not yourself an electrical engineer or any engineer for that matter. Let’s be frank. Leave the job to professionals. What Is a Panel Schedule? 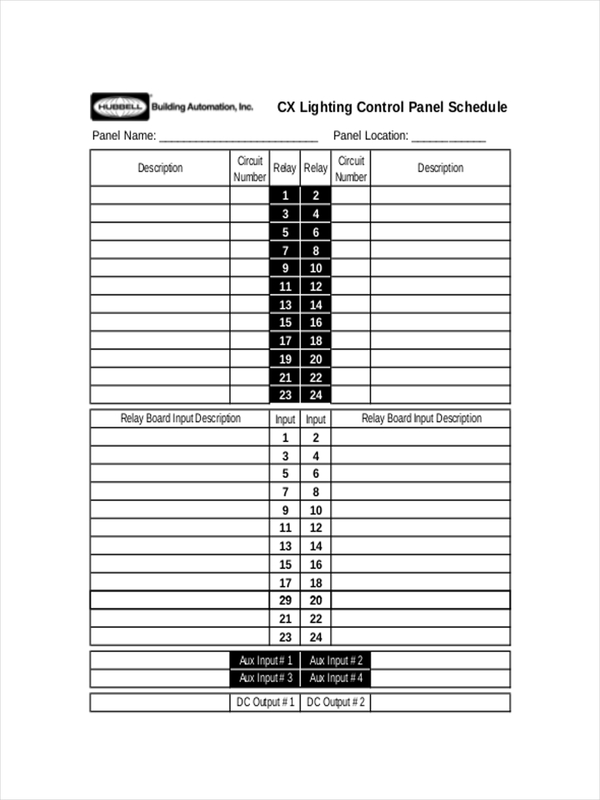 A panel schedule is a diagram used by electricians or engineers to display information regarding a panel and the circuits connected to the panel along with their corresponding loads. 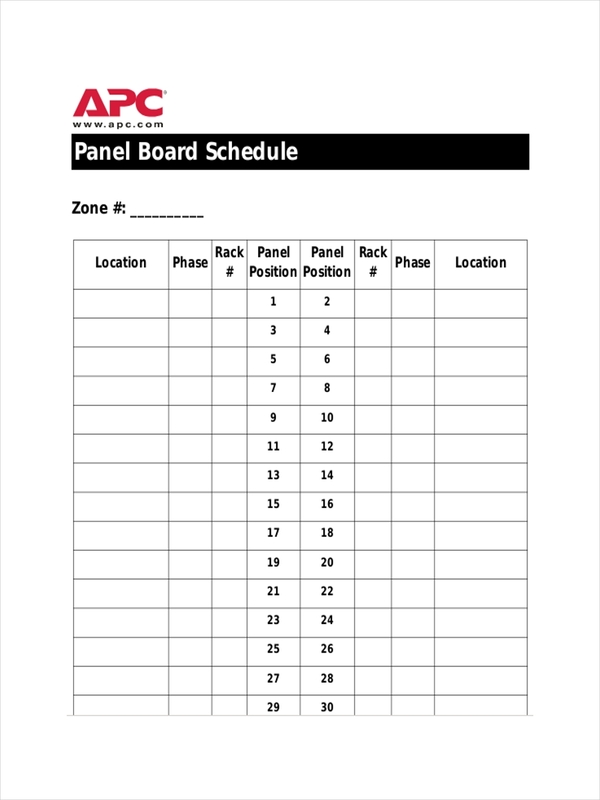 Sample schedules and blank schedule examples can show you how a panel schedule looks like. Looking at the schedules may help you recognize panel schedules and what they are intended for. 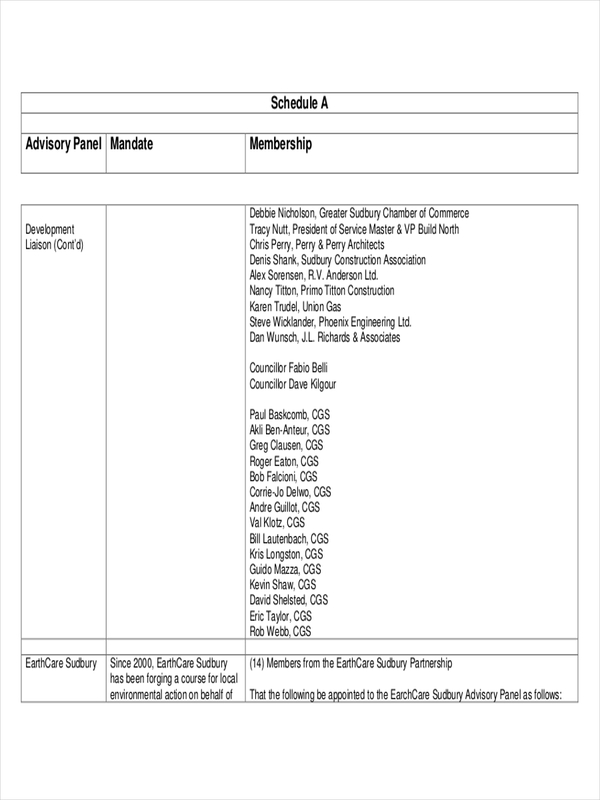 What Information Is Typically Included in a Panel Schedule? Want to create your own schedule? Schedule examples in excel are fully modifiable and 100% free. These examples will also provide additional information and illustration on how panels. Looking at it without any background in engineering or electrical works would not do any good, however, as the information would only look like a bunch of letters and numbers. Feel free to consult your friendly neighborhood electrician for professional advice regarding your panel. We all have that panel in the house containing the breakers and other circuitry that control power in the house or building. Upon opening such panel, one can immediately notice at the back of the cover, a diagram of sorts containing a jumble of words, lines, and numbers. This is your panel schedule. One is to serve as a basic notion of the breakers in the house and which of the breaker turns off what. 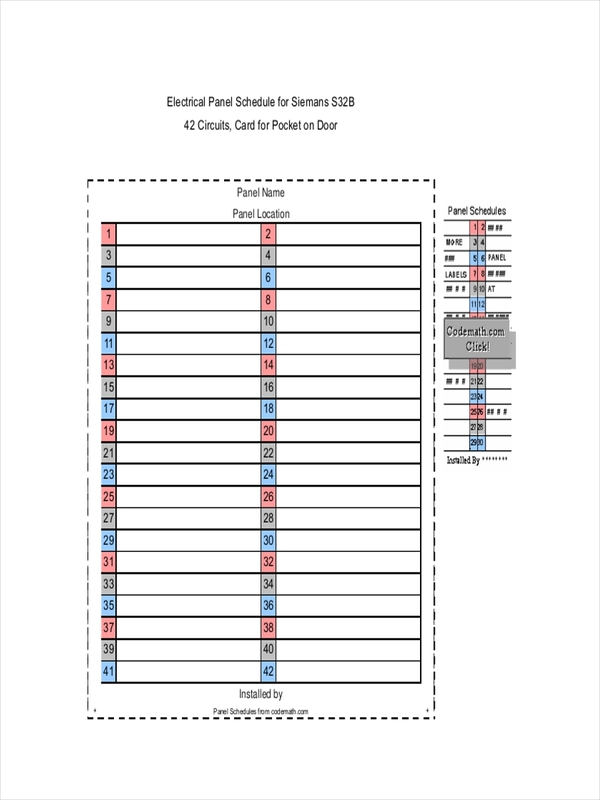 It also gives information regarding the total demand load of all equipment and furniture in the house and the corresponding circuit numbers assigned to each circuit breaker. 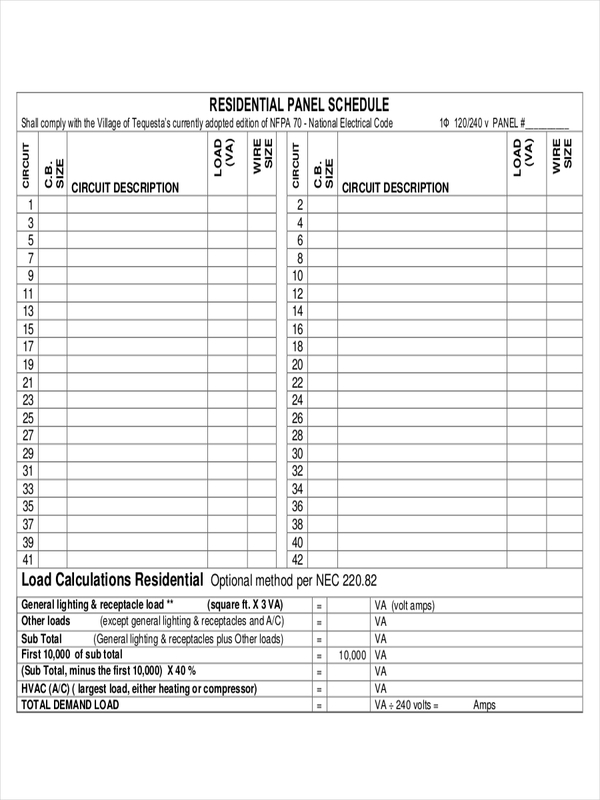 Two, as a design engineer, panel schedules are helpful in performing load calculations and the over all electrical circuit design of the house or building. This works well with new buildings and should be equally important during major renovations of a house or building. 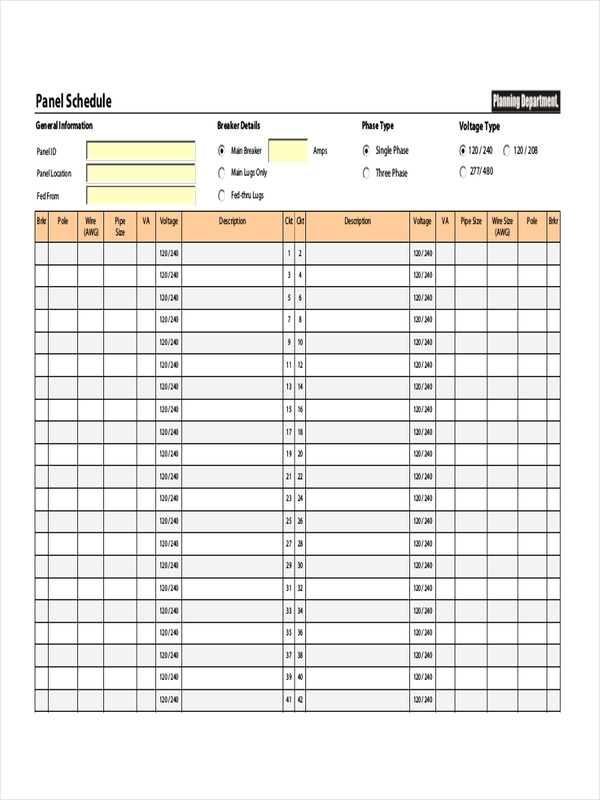 Schedule examples in PDF is found in the page for additional information.